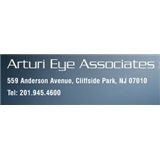 Arturi Eye Associates (Cliffside Park) - Book Appointment Online! At Arturi Eye, we specialize in high quality comprehensive eye care. Arturi Eye is dedicated to quality eye care whether it is a routine eye exam or the latest in high tech laser surgery. Our comprehensive eye evaluation begins with a discussion of your symptoms and a medical history. Then a complete examination using the latest diagnostic equipment is performed to determine visual function and to detect any abnormalities. Any problems that exist will be identified and treatment options discussed. Whatever the options may be, they will be discussed with your best interests in mind to enable you to make an informed decision. Our goal is to do whatever is necessary to meet your visual needs which is compatible with the long term health of your eyes. Excellent doctor and I would highly recommend him.